All organisations — whether government, Councils, NGOs, philanthropic and community organisations — need the best available information to help determine priorities and make good decisions for the people they serve. We offer a range of evaluation and research services tailored to meet organisational needs. We have a reputation for building strong teams, including subject matter specialists, to deliver high quality evaluations to time and to budget. We work with your organisation to make sure solutions are workable and realistic. 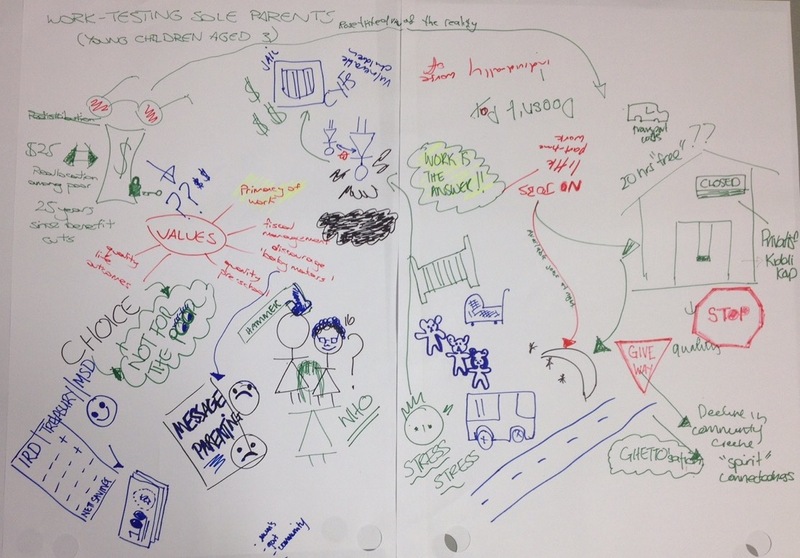 Rich picture, developed with colleagues as part of a workshop mid 2015.